J.Sainsbury Ltd - a Memory of Barking. Sorry to one of your correspondents, males never wore hats in the shops of J.Sainsbury to my knowledge. The females wore nylon head scarves. I worked at the Barking branch for several years, are there any more of the staff still around ? I loved the Christmas's there, working with Mr Harris the super. We had the big front window open and yelled and served from it. Frank Smethins was the manager, Whip Henwood the assistant manager, Sal Sawkins the clerk. They were happy days, how the rest of the staff put up with me I just don't know! 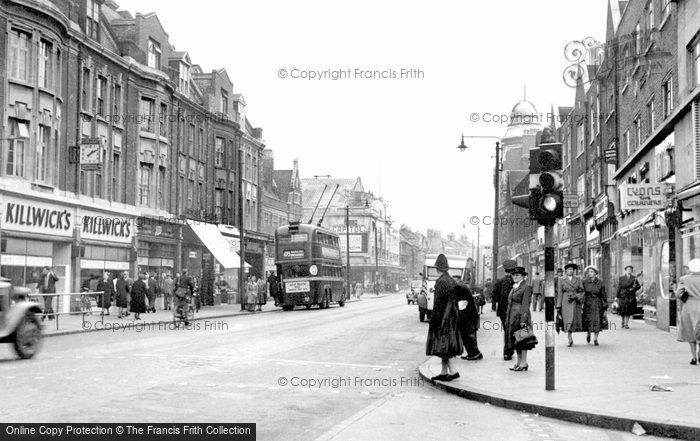 Was the cinema in Ripple Road (The Bug Hutch) called the "Electric"? It cost ninepence to get in on Saturday Afternoon, and we had to queue. A memory shared by Mikemoore Moore on Jan 17th, 2012. Send Mikemoore Moore a message. I think you're right - the cinema in Ripple Road was nicknamed the "The bug hutch or the Bughouse". We were never allowed to go there in case we caught something!! There was also the Odeon near the station & The Gaumont next to the old town hall. I often went into Sainsburys with my mum and used to marvel at the way they patted the butter into shape with wooden paddles.